Father Jose Moises Fabila Reyes, aged eighty three, was a Mexican Priest. He was kidnapped earlier this month, and has been found dead, despite the ransom being paid. This is the third killing of a Priest in Mexico, in a bit more than a week. 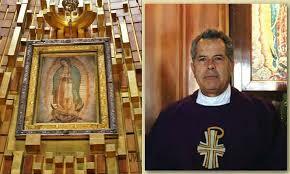 He was stationed at the Basilica of Guadalupe in Mexico City since 2001. On April 3rd he was kidnapped on a trip, to the City of Cuernavaca. A ransom of two million pesos, which is about 106,000 US dollars was paid. His body was found in Cuernavaca. Father Jose who suffered from a heart condition, was shown by testing to have been dead before the ransom was paid. Father Jose was ordained in 1961. His Congregation, say he was a gentle, kind man priest. Five Priests have been murdered in Mexico this year. Twenty four have been murdered in Mexico since 2012.